Going abroad with a good wardrobe is important in this day and age. And as a plus-size girl, I need some killer outfits as I travel. 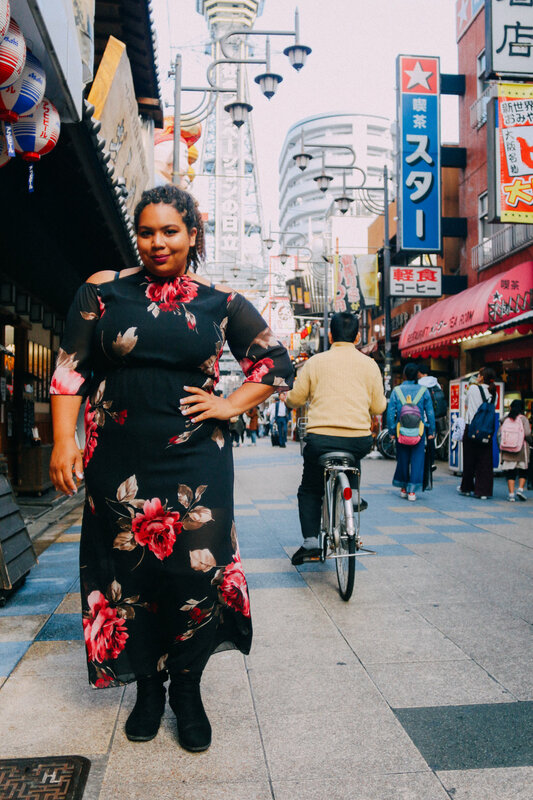 With some new looks from Curvy Sense, I was able to roll into China and Japan looking stylish and fly and turn my boyfriend into my Instagram husband for our trip so I could model these beauties. A dream of mine has always been to see the Great Wall of China, and I knew I had to through together a look for it that would complement my style, as well as go beautifully with the scenery around me. 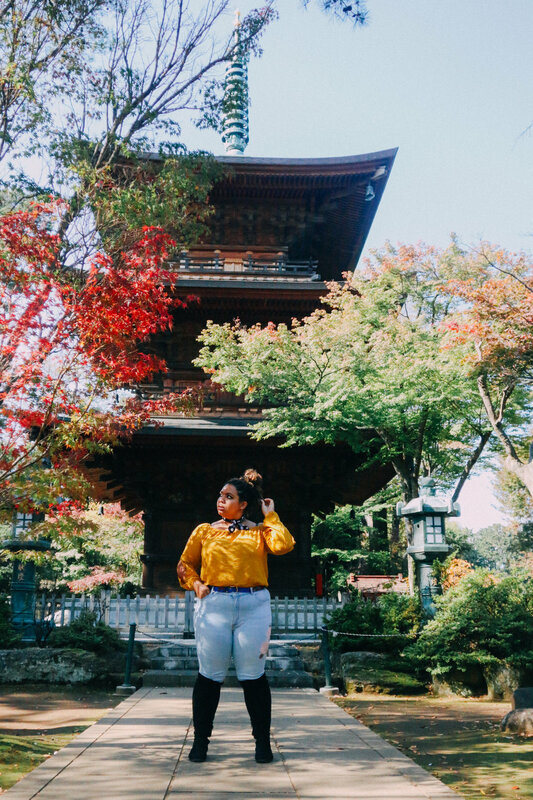 After a 14-hour flight and knowing a cute OOTD would make my jetlag melt away, I paired this mustard yellow crop top with these embroidered jeans for a comfortable, but chic autumn look. I am happy we arrived at the Wall early in the morning so I could get these shots at this world wonder without all the crowds. There's an area of Tokyo called Akihabara, which is known for its video game and electronics shops. It's definitely nerd central, which I love. As I was in Japan, I thought it might be fun to wear out a kimono to feel a bit more in touch with the culture. Obviously this is not a Japanese kimono, but it's embroidered with gorgeous florals and made a basic black top and jeans look a bit more like nightwear as we wandered around this area filled with arcades and game stores. Osaka is like the grittier brother of Tokyo. But this doesn't mean it still doesn't deserve some great fashion choices. This lovely flowy dress was a great choice to explore this new city in. It is relaxed enough for daytime use, but also dressy enough for going out for a drink and some late night ramen. I became such an outfit repeater with this top and jeans combo during my trip. But that's completely okay because they were so comfortable and still looked great after multiple wears. I only ever travel with a carry-on, so I've perfected the art of re-wearing outfits without looking super obvious or like a scrub. I added in some knee-high boots here to change it up a little bit while visiting this temple near Tokyo. I have an exclusive Curvy Sense discount just for my followers! When checking out on curvysense.com, use my code CALLME15 for 15% off your purchase. I received these clothes complimentary, however, all opinions are my own.